Nikki Fujita attended and graduated from Kamehameha Schools. After graduation, she began working for Sam’s Club as a cashier. According to Nikki, her years as a cashier taught her customer service and multitasking skills, which are invaluable and necessary traits as a practice manager. She later became an apprentice optician in the Sam’s Club optical department. There she learned contact lens basics and how to fit, order, and adjust frames and lenses. Because of her personality, customer service skills, and optical knowledge, in late 2007 Hawaii Vision Associates was honored to have her apart of the family. In the years following, Nikki worked as a optometric technician learning pretesting, ocular terminology, and special testing equipment. In 2011, she was given the position as the Pearl City location’s office manager. 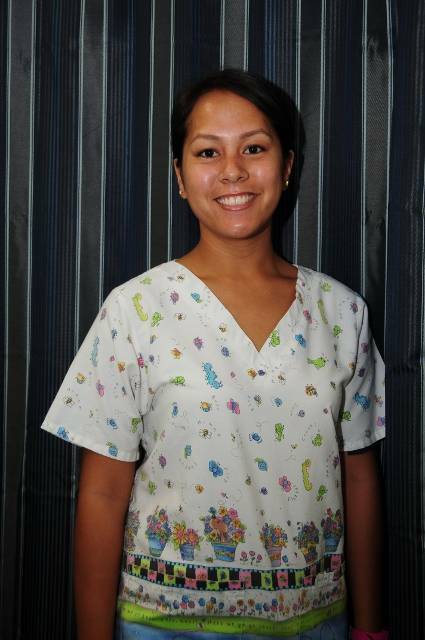 As office manager, she trained new staff, supervised staff and daily operations, and processed insurance. In 2013, because of her eagerness to learn and willingness to take on responsibility, she was awarded the position of Hawaii Vision Associates practice manager. As practice manager, she oversees daily operations, human resources, and insurance payment processing of all 5 Hawaii Vision Associates locations. She also routinely attends seminars to keep current with newest medical coding and management strategies. In Nikki’s free-time, she enjoys spending time with her children. For questions regarding our Kapolei Wal-Mart, Pearl City Sam’s Club, Keeaumoku Sam’s Club, Windward Mall Sears Optical, or our Pearlridge Sears Optical location, please contact Nikki Fujita: nikki@hawaiivisionassociates.com.